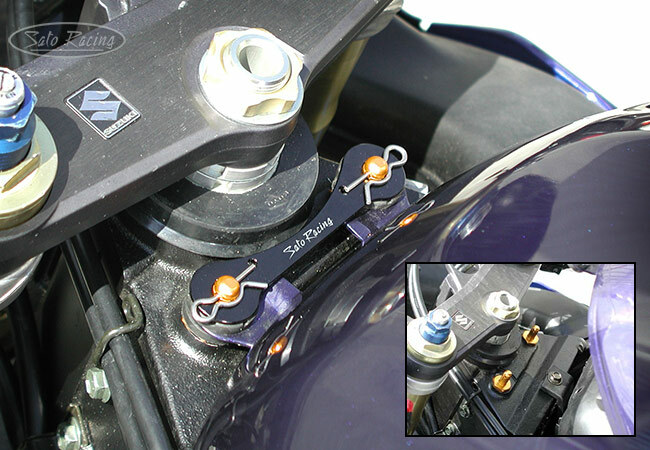 Release your fuel tank in seconds with a SATO RACING Quick-Release Tank Pin. 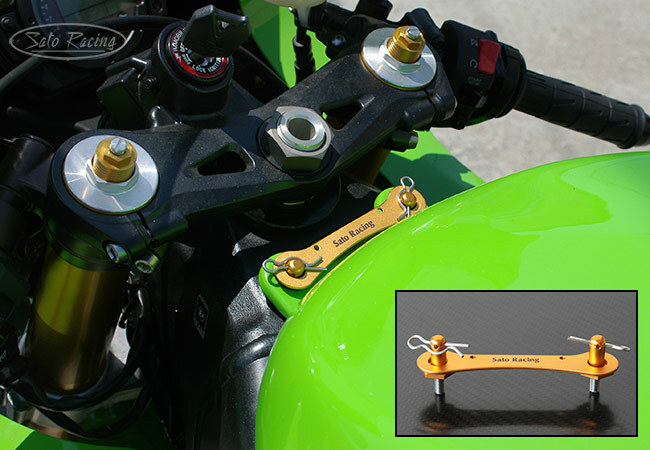 It is as easy as pulling the two R-clips. 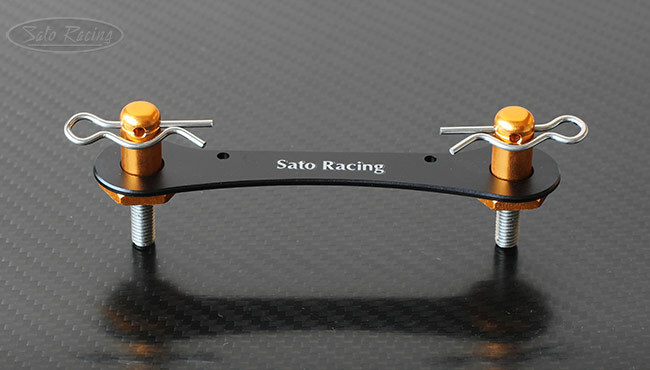 This part is designed for endurance racing, but even if you don't race, it looks way cooler than the stock tank bolts. 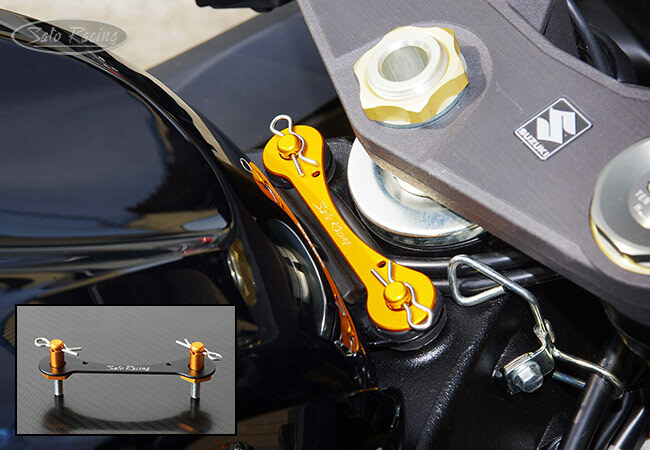 Choice of Black, Silver or Gold anodized aluminum plate with Gold hitch pin bolts and R-clips. 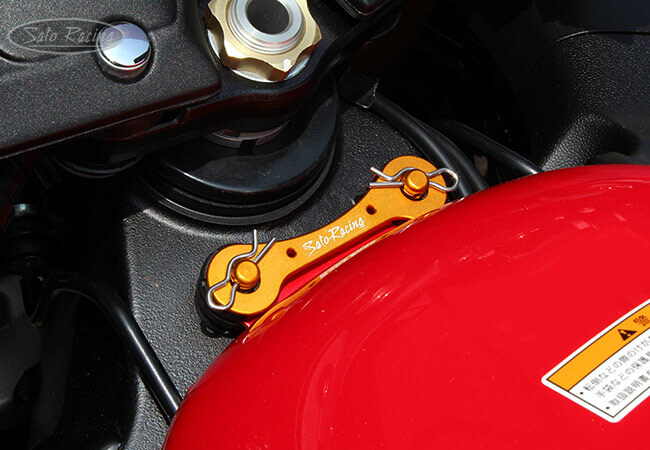 Fits select Suzuki and Kawasaki models. 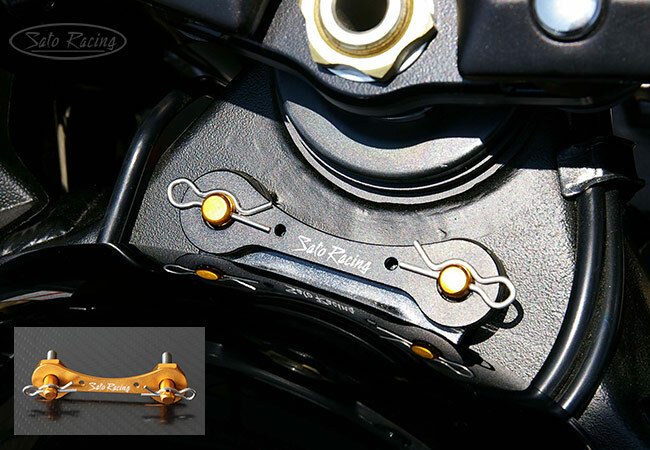 but a few models such as the Tank Pin for Hayabusa have the later-style script logo.